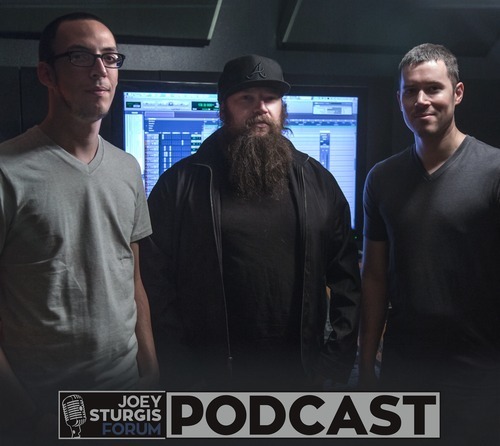 Renowned producer Joey Sturgis (Asking Alexandria, Of Mice & Men) has launched a music industry podcast, along with co-hosts and fellow producers Eyal Levi (August Burns Red, Chelsea Grin) and Joel Wanasek (Trapt, Phinehas), titled The Joey Sturgis Forum Podcast. The trio will release five podcasts a month, covering a range of music industry topics such as marketing, touring, mixing and producing. Sturgis, Levi, Wanasek and featured guests bring different insights to every topic, allowing listeners to get an in-depth analysis of the music industry. The Joey Sturgis Forum Podcast offers various subscription levels, allowing those interested in learning beyond the free monthly podcast to indulge in exclusive content and bonus episodes. Paid subscriptions range from $5 to $60 per month. Listen to the first episode of the podcast and view a list of subscription levels here and watch the podcast trailer below.